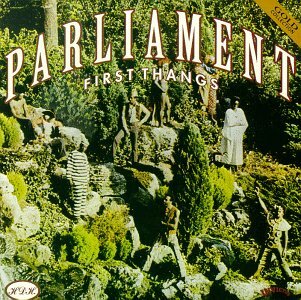 "Inspired by Motown's assembly line of sound, George Clinton gradually put together a collective of over 50 musicians and recorded the ensemble during the '70s both as Parliament and Funkadelic. While Funkadelic pursued band-format psychedelic rock, Parliament engaged in a funk free-for-all, blending influences from the godfathers (James Brown and Sly Stone) with freaky costumes and themes inspired by '60s acid culture and science fiction. From its 1970 inception until Clinton's dissolving of Parliament in 1980, the band hit the R&B Top Ten several times but truly excelled in two other areas: large-selling, effective album statements and the most dazzling, extravagant live show in the business. In an era when Philly soul continued the slick sounds of establishment-approved R&B, Parliament scared off more white listeners than it courted. ".